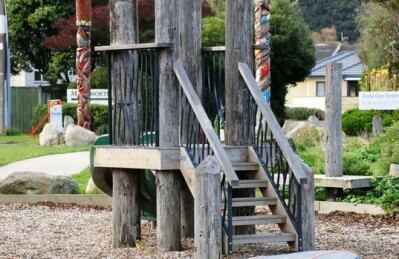 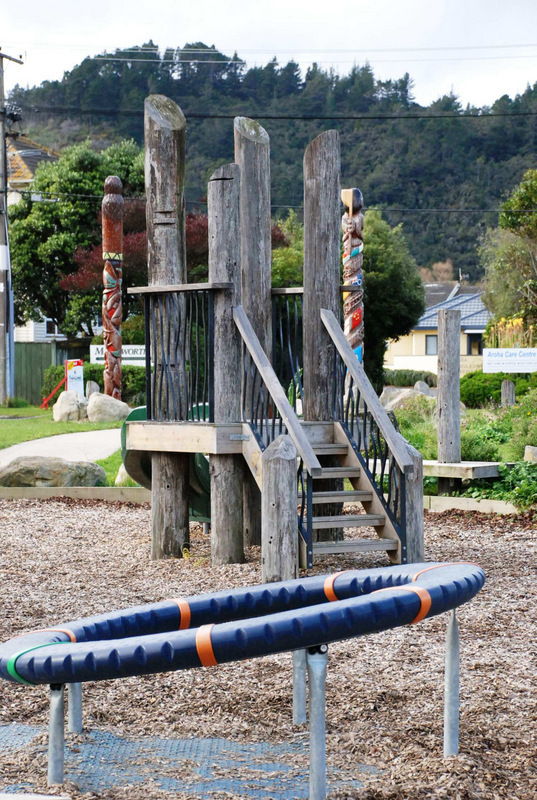 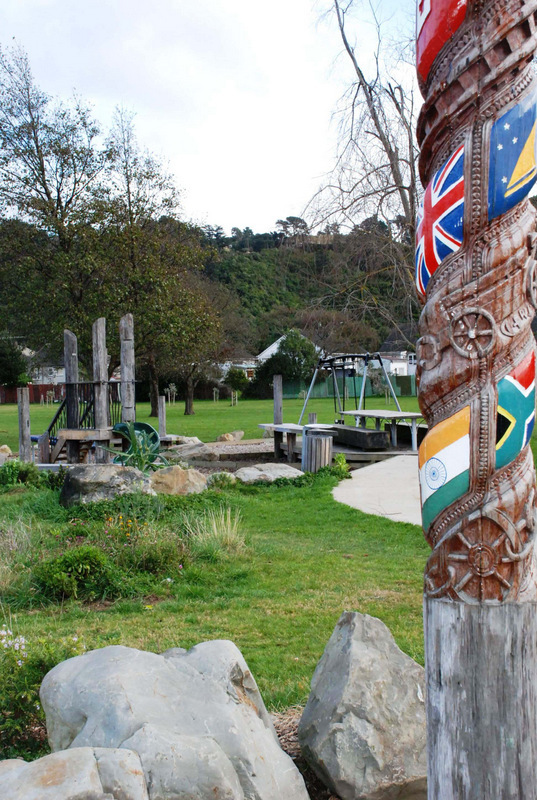 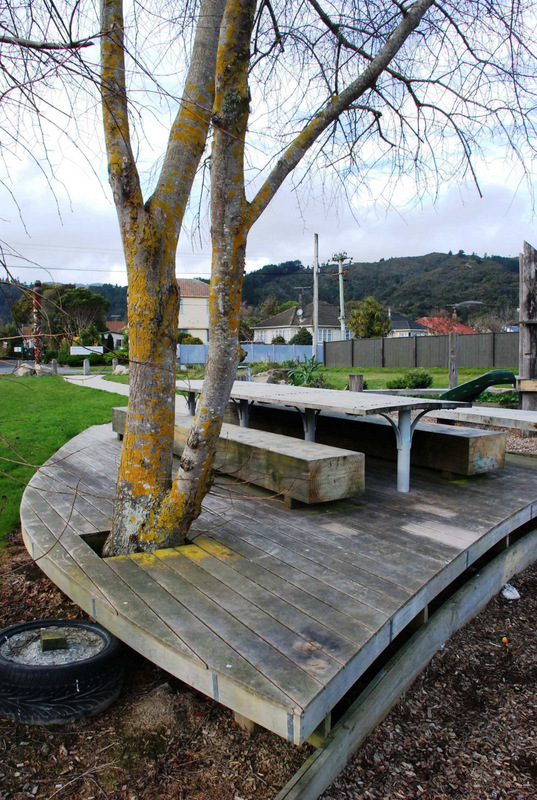 The Hutt City Council commissioned this design to provide a playground for local pre-school children. 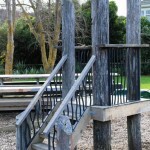 The design incorporates a range of rustic structures to encourage creative play and allow the children to invent their own ways to use these elements. 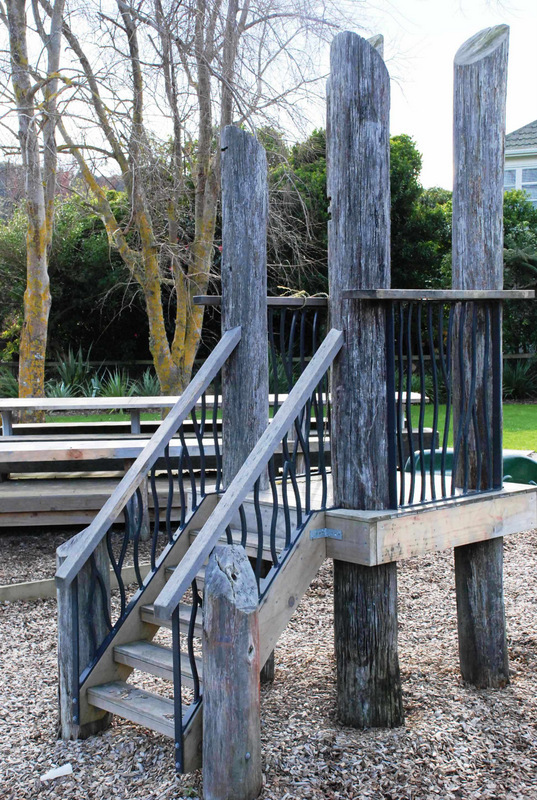 The essential slide and swings are also included but designed within structures which allow multi-use. 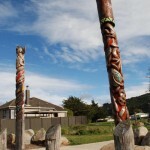 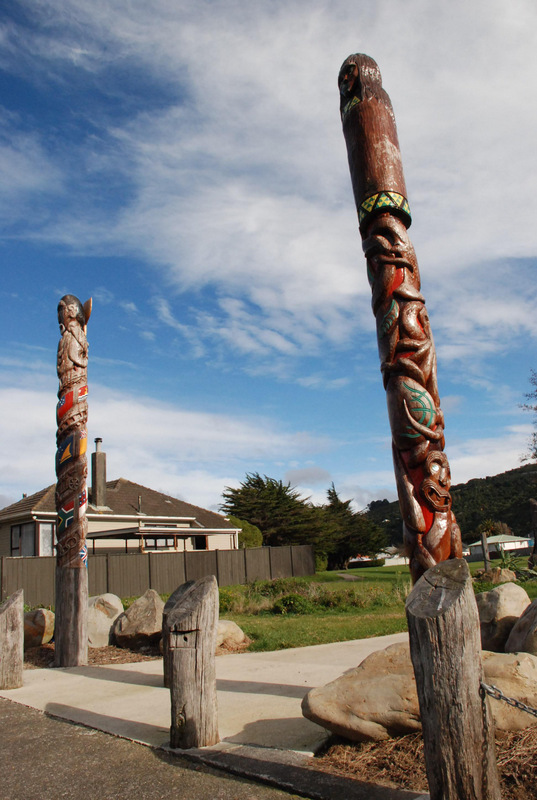 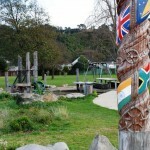 Planting and sculptural pieces complete the atmosphere and appeal to the largely Maori and Pacific Island community. 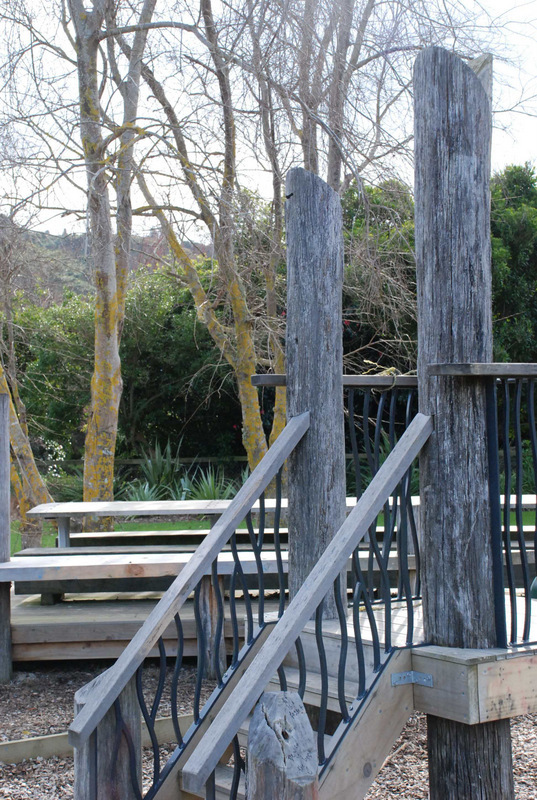 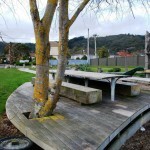 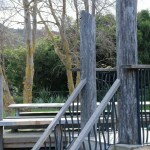 A large, rustic picnic table with built-in seating is located in the central decked area to provide a place for local mothers and children to gather for casual get-togethers and picnics etc. 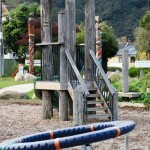 This playground has been most successful with the local community making full use if it.